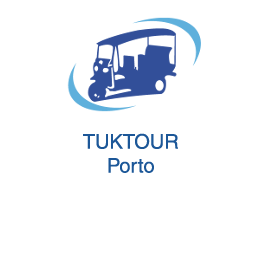 Tuktour Porto propose you the Porto Baroque tour. 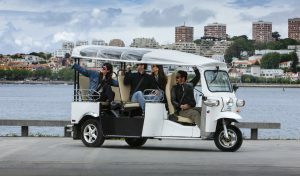 With our guides, discover the city "invicta" (invincible). 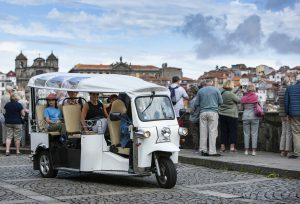 Through the narrow streets, they will tell you the history of Porto, anecdotes, cultural life and his "tips". With our guides, discover the city "invicta" (invincible). 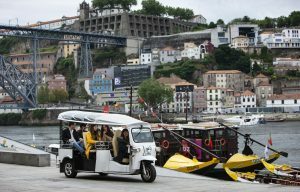 Through the narrow streets, they will tell you the history of Porto, anecdotes, cultural life and his "tips". 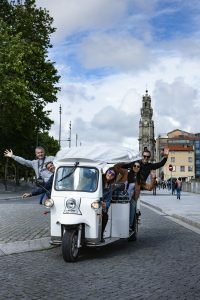 TUKTOUR PORTO, Invites you to enter this ancient city that gave its name to Portugal and has a wine known around the world – the Port Wine. Heritage since 1996, the “invincible” is spiritually baroque. 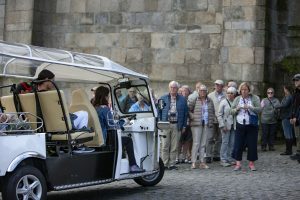 With TUKTOUR PORTO, you discover Aliados Avenue, beautiful avenue, originally named Allied Nations Avenue, which was opened in 1916 after a renovation plan for the city center connecting the Trinity and Liberty squares. You can see among others the statue of Almeida Garrett, writer, poet, speaker, politician who was one of the greatest figures of Portuguese romanticism. He proposed the construction of the National Theatre D. Maria in Lisbon. A first look of the church on board our electric tuks “Santo Antonio dos Congregados” that was inaugurated on 8th December 1680 is dedicated to Saint Anthony whose interior murals represent scenes from his life. Its baroque façade of the 17th century is covered “d’azulejos”. Our guide to TUKTOUR PORTO tells you the story of the station “Estacão São Bento” Built in early twentieth century under the reign of Carlos D. Da and Amelia where stood the convent of Saint Benedict Ave Maria, the inauguration took place in 1896, while the official opening of the line was November 7, 1916. A cover designed glass and cast iron The architect Marques da Silva. TUKTOUR PORTO,suggests a break at “Se Catedral” Romanesque whose construction began in the 12th century. 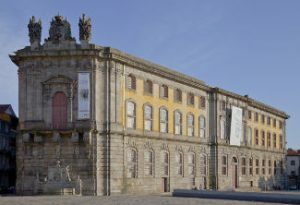 It is the oldest monument in Porto. Some say that the first stone was laid by the Queen D. Teresa. Many changes over the centuries have reduced its austere appearance. You can see on its facade a beautiful rosette of the 13th century, its marble interior and paintings of Nasoni. Then the Church of “Santa Clara” “Igreja de Santa Clara” , gothic origin built in the 15th century whose interior was covered with gold leaves in the first half of the eighteenth century. 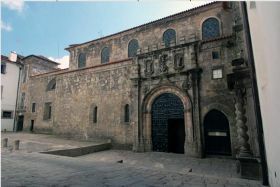 The foundation of the convent of Santa Clara in Porto was held March 28, 1416. A harmonious combination of gilded wood carvings and tiles reign in this church. 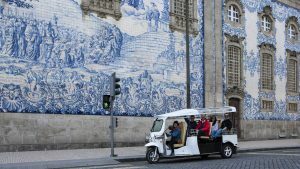 Back aboard our Tuk Tuks we’ll return to Porto The place Batalha and the théâtre São João du XIXe century, Santa Catarina road and the famous “Majestic cafe” from 1920 in a neo classic style where a part of the city’s history was written. 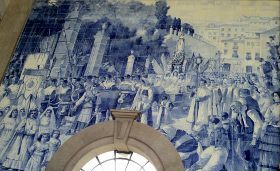 We go back to “Carmo Church” 18th century passing through Liberdade Square, In 1911 the front side was coated with a panel of blue and white “azulejos ” representing the imposition of the Scapular Mont “Carmelo ” the Virgin Mary. 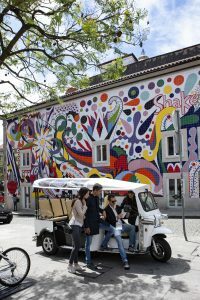 TUKTOUR PORTO, takes you to Reitoria Square and The Science faculty “Faculdade de Ciencias” neo classical style Gomes Teixeira Square. Its construction began during the reign of D. João VI and ended in the nineteenth century. Inside, are Veloso Salgado’s paintings made in 1917. In 1651, the priest “Padre Baltazar Guedes ” founded the Seminario dos Meninos Orfaos. 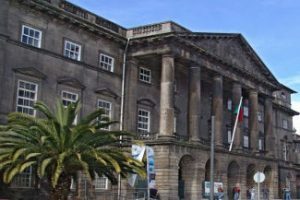 Then have followed the Real Academia da Marinha do Comercio e, Academia Politecnica. Are also installed in this building. 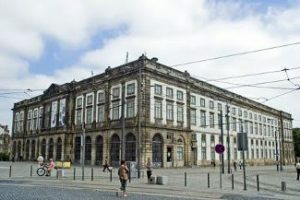 The “Museu de Zoologia (D.Augusto Nobre), as well as The “Museu de Arqueologia e Pré-Historia do Instituto de Antropologia (Dr Mendes Correia), and also The “Museu de Ciências Geológicas (organised by D. Venceslau de Sousa Pereira Lima) and to Santo Antonio hospital 19th century neo classical style. Then The museum of photography “Centro Português de Fotografia”former prison of the 18th century, and new stop with TUKTOUR PORTO at/to the Lello bookshop, Gothic inspiration founded in 1904, dedicated to literature in a magnificent library in the center of which stands the carved wooden staircase that inspired a scene from Harry Potter. 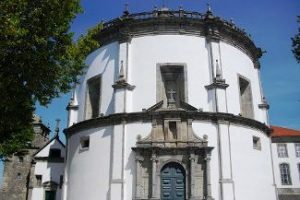 Finally The Clerigos Tower, “Igreja e Torre dos Clérigos” representation of baroque style in the heart of the city, the work of the mid-18th century began exactly its construction in 1732. The interior is made of granite and marble, covered with gilded wood carvings. The internal staircase (225 steps) allows access to the top (76 meters) from where you can admire one of the most beautiful views of Porto. Masterpiece Nicolau Nasoni, Italian painter decorator, fell in love with northern Portugal. 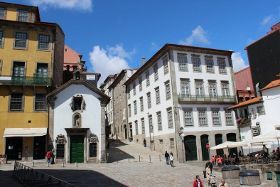 And through the picturesque narrow streets of the Baixa, TUKTOUR PORTO, will take you down towards the church “São Francisco de Assis monument” built in the 14th century, during the reign of Dom Fernando, with an interior entirely covered with gold. Its construction was encouraged by Pope Inocencio IV in 1244, and completed in the fourteenth century. This beautiful church has a similar interest in the majestic Cathedral of Porto. This is one of the most important works of the Baroque era. You can admire the “Palacio da Bolsa”. Construction began October 6, 1842, Tuscan and neoclassical architecture of the eighteenth century, as well as English and Arabic influences. Inside the Arab living parallelogram is beautiful. We’ll pass Nova da Alfandega street with its colourful houses and in front the “Casa do Infante” one of the most charismatic buildings of the city where some argue that D.Henrique Infante was born there in 1394. Opposite, The church “Igreja São Nicolau” dates from 1671 and coated in “azulejos” in 1861. Inside you will see among others a chalice of the sixteenth century. We’ll reach the Clerigos tower by the street Mouzinho da Silveira and Belmonte street. And so our Baroque tour will finish !